Por dónde saldrá el sol? The interest for Northern Lights, or Aurora Borealis experiences are increasing rapidly in the north. During my internship in Narvik I have among other things been involved in product development of tourism experiences and the Northern Light have been a reoccurring theme. The phenomenon is caused by sun storms and when the electrically charged sun particles are enter the earth’s atmosphere the auroras occur (very ,very simple explanation). These geomagnetic storms tend to increase within a 11 year cycle and around the peaks the auroras are more frequent and at the moment we are experiencing one of these peaks, and the auroras this autumn and winter have been totally insane! Before I came here I had never seen an aurora and my first encounter whith this natural phenomenon happened in the end of September, while out walking in the mountains one late evening. It was a quite cold night, and the sky was so clear that you could see the Milky Way. I had almost given up seeing an aurora that night, when the weird looking clouds somehow started to move and become more intensely green. It was not clouds, it was the aurora. It was scary, it was magic and totally uncomprehendable. Add some shooting stars and a screaming and laughing Swede and you will have the scene. 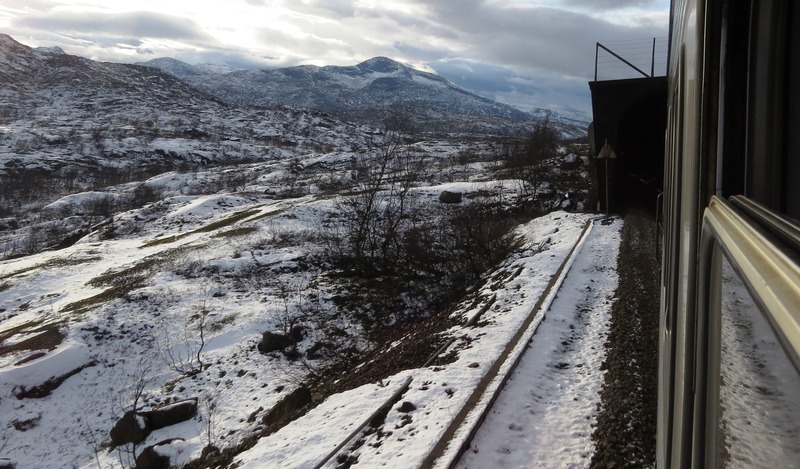 So, in the end of October we travelled up to Abisko, Sweden in order to test one of the new excursions for this winter: The Northern Light Express train before it goes onto the market. It is a 12 hour excursion departing from and ending in Narvik. We left from Narvik with the 12:40 train and meet with the activity company up in Abisko just after 14.00. After site inspection and discussions we had a lovely dinner at Aurora Pub and Restaurant before we headed out to hunt the northern lights. At 22:30 we got picked up by bus and started the journey back to Narvik. All in all: an amazing day and night! I will not write much about this, instead I will let the photos speak for themselves (click for bigger pictures). 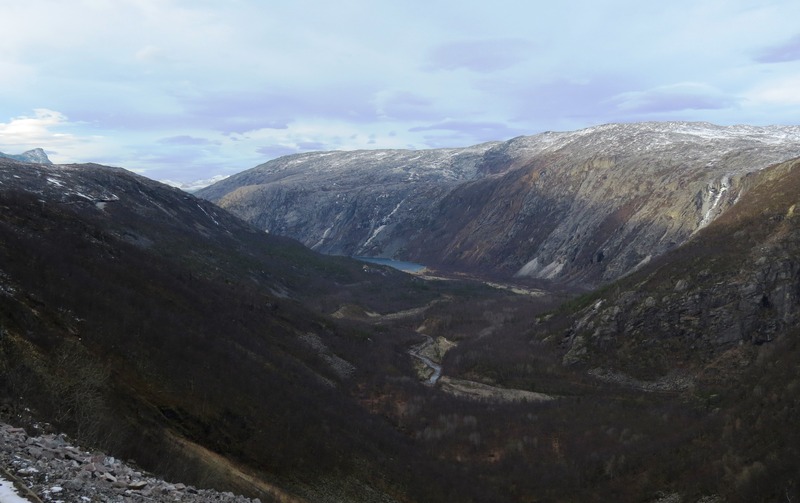 Rombaksbotn, the vally where around 500 people lived during the construction of the railroad. Today the houses are gone, but during the summer it is possbile to hike from Bjørnfjell or Riksgränsen on the navvyroad down to the vally. 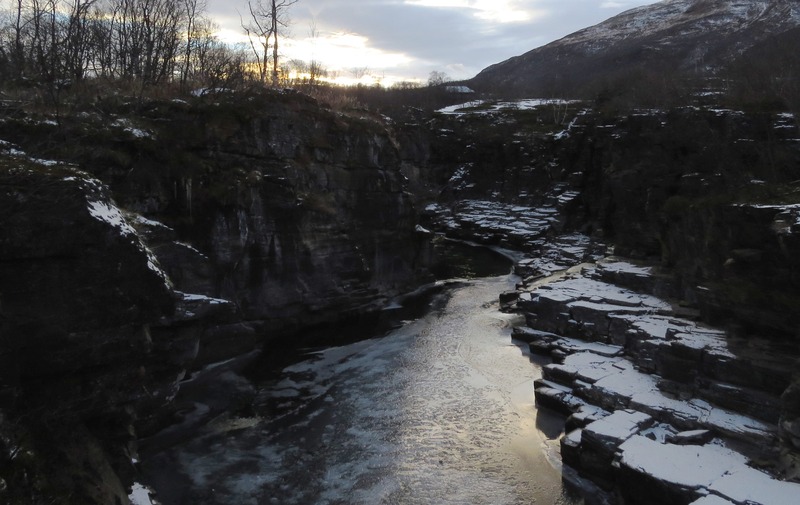 The trainride from Narvik to Abisko takes about 1.5 hours and is stunning. You start the ride down at the fjord surrounded by the majestic Norwegian mountains before you reach the alpine areas of Bjørnfjell and Riksgränsen. 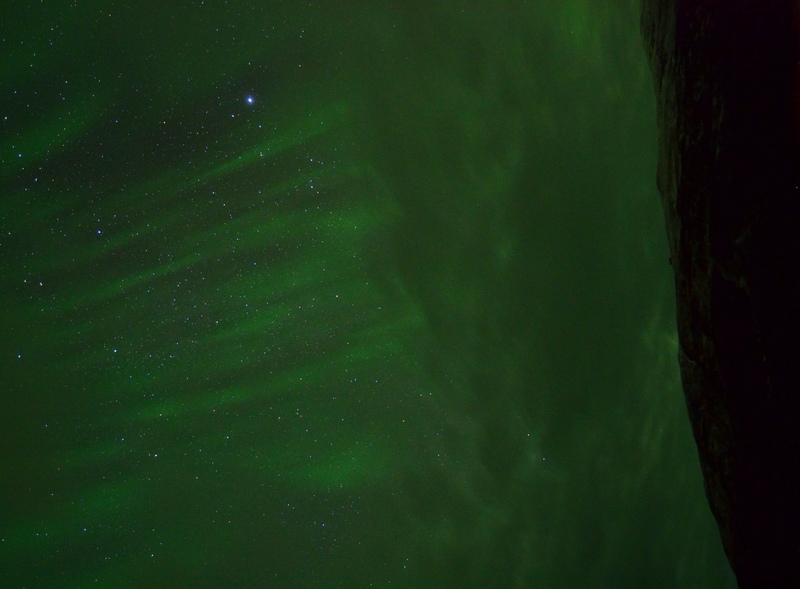 And finally, some really nice Auroras. The first picture is taken out over Torneträsk, the big lake in Abisko, and the second, is showing Aurora over the mountain Njoulla. Nice blog and great snaps!! Saw the aurora with you the first time in September 🙂 + 1 crazy Indian!